a qualified college graduate or specialist from a different field (computer scientist, economist, biochemist, engineer (mechanical or electrical engineering). 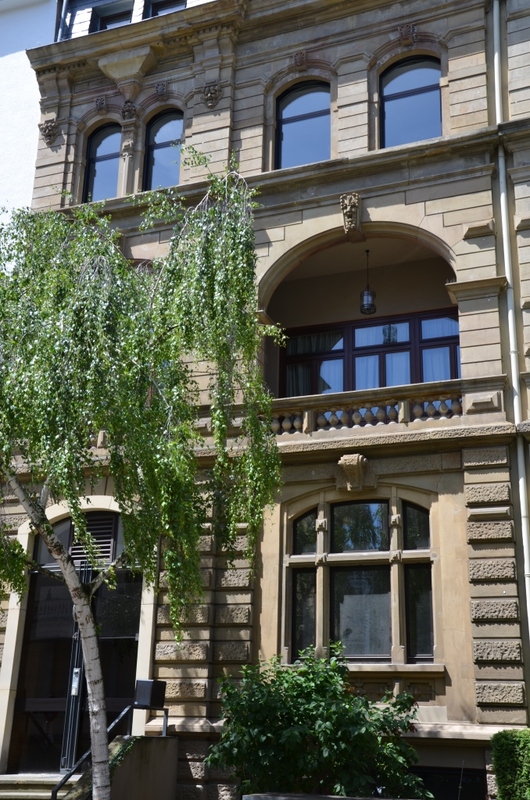 The main task at Dr. Kalliwoda Research is the analysis of German and European stock markets. Basis for this are interviews, followed by ongoing servicing the enterprises. Beyond that you participate in company meetings, press conferences and specialized conferences (Biotech, IT/Software, Industrials, Financial Services etc. ), represent our enterprise at our clients and fulfil representative tasks in the media for our house. Dr.Kalliwoda Research explains and comments capital markets developments. Primarely it is the forcast of equity prices and bond prices and company valuations. Macroeconomics and monetary developments and trends are presented to institutional investors. 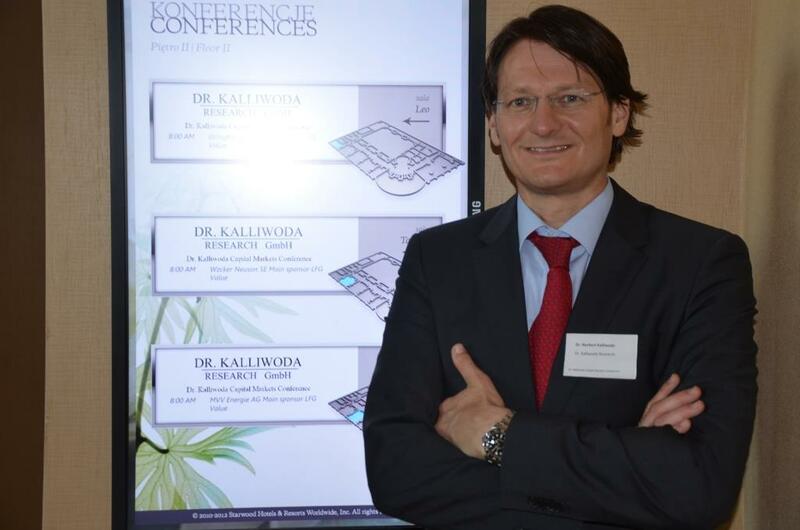 Dr. Kalliwoda Research GmbH executes sell-side roadshows in Germany and abroad. We are looking for specialists who prepare roadshows and participates in roadshows. Also attending analyst meetings and Capital Markets Days is desired. Aktien-Research: Fundamentalanalyse, Discounted-Cashflow-Analyse, Sum-of-the-parts-Bewertung, Peergroup-Analyse; Produkt-Recherchen; Primäranalyse und Befragung von Fach-Institutionen; M&A-Services. Erarbeiten von Unternehmens-, Umsatz- und GewinnschÃ¤tzungen für institutionelle Investoren und für Bloomberg/Thomson Reuters u.a. Buyside-Research für Aktien- und Rentenfonds; Risiko-Analyse, Benchmark-Messung, Datenbankoptimierung für Aktienmärkte/Sektoren nach bestimmten Bewertungsfiltern/Multiples, Datenbankpflege und Marktrecherchen/Wettbewerbsanalysen und Technologierecherchen. Teilnahme an Emittenten-Sell-Side-Roadshows im In- und Ausland. 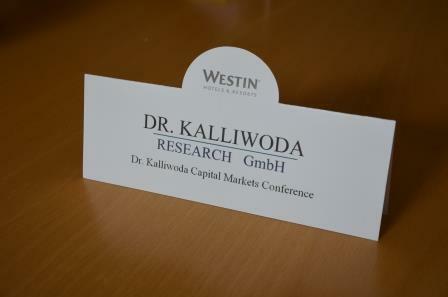 Teilnahme an Analystenkonferenzen und Capital-Market-Days. Vorbereitung von eigenen Dr. Kalliwoda Capital Market Days/Conferences in West- und Mitteleuropa, insbesondere in Warschau. Vorbereitung von Vorträgen über allgemeine Aktienanalyse; Vorbereitung von Präsentationen für Kundenakquise sowie Vorbereitung/Planung von Investmentfonds-Roadshows in Deutschland, Österreich, Schweiz und ggfs. auch in Benelux/Frankreich/Dänemark. Interesse an unseren oben dargestellten Tätigkeiten. Kenntnisse der Unternehmensbewertung und gute analytische Fähigkeiten. Kommunikative Stärke und gute bis sehr gute Englisch- und Polnisch- oder osteuropäische Sprach-Kenntnisse sind von Vorteil. Vordiplom bzw. studierend im zweiten Bachelor-Jahr (möglich auch im ersten Bachelor-Jahr). Idealerweise gute Kenntnisse der Unternehmensbewertung. Gute Kenntnisse in MS Office, insbesondere Excel und Word, VBA Kenntnisse von Vorteil. Praktikum: mindestens 4 bis 6 Wochen, idealerweise 3 bis 6 Monate. You have very good communication skills and very good english-speaking knowledge and/or french/spanish language skills are advantageous. Ideally you have at least 2 years experience in these work areas. ou should join us if you have at least 3 years of professional experience as a chartered accountant or capital market advisor with placement experiences. Communicative abilities with the presentation and negotiation of transactions are important. You act successful and conclusion-orientated. Or: Steinstraße 24, 64839 Münster (at Darmstadt, Hessen), Germany. Dr. Kalliwoda Research explains and comments capital markets developments. Primarely it is the forcast of equity prices and bond prices and company valuations. Macroeconomics and monetary developments and trends are presented to institutional investors. 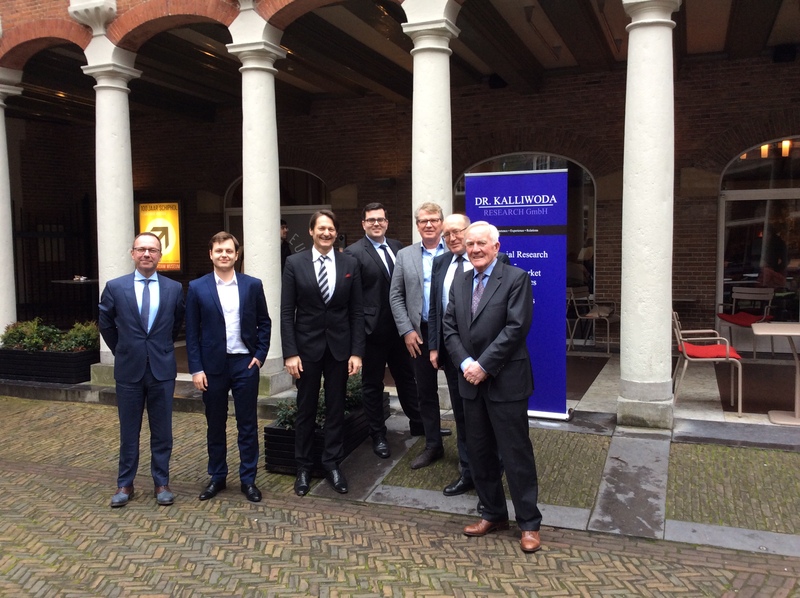 Dr. Kalliwoda Research GmbH executes sell-side roadshows in Germany and abroad. We are looking for specialists who prepare roadshows and participates in roadshows. Also attending analyst meetings and Capital Markets Days is desired. Dr. Kalliwoda Investor Relations Services advises companies independent of banks. We consult regarding market segment selection, providing financing strategies and we proof financial plannings. Furthermore we create information memoranda and synopses. 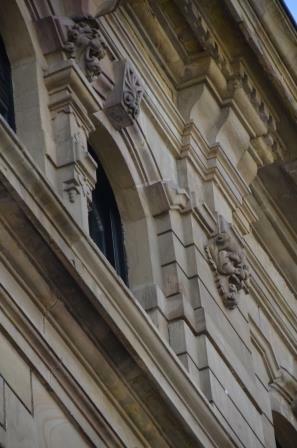 We also advise on change of strategies and corporate transactions, such as M&A transactions and spin offs. We are looking for our team of capital market advisors who have already gained in auditing companies firms or banking experience. You advise clients on capital market transactions. Also we are looking for qualified young professionalswho are quickly integrated into our projects. You should join us if you have at least 3 years experience as an accountant or financial adviser. Communication skills are important for moderating and presenting our results. You are acting performance-oriented. Dr. Kalliwoda Investor Relations Services advises companies on their investor relations strategy and this is independent of banks. We optimize your communication tools such as websites and all written business presentations. We can arrange for press contacts and arrange your media schedule. We are looking for Investor Relations Consultants, who have already gained experience in IR agencies. They advise clients on their investor relations strategies. Also we are looking for qualified young professionals who are quickly integrated into our projects. You should join us if you have at least 3 years experience as an IR-consultant or capital markets consultant. Communication skills are important also writing skills. Also beginners should send us their application form. You are acting performance-oriented. You should join us if you have experience as Secretary / back office colleague. The maintenance of our databases and arranging roadshows are part of your work areas. You have good MS Office abilities and good communication skills. Applications also by job beginners are welcome. Possible is also an education as research analyst in our research house. Dr. Kalliwoda Research offers interesting practical training for economic students. Based on our practical course program you have the chance to learn about our activities theoretically as well as practically and you support our analysts with the production of their research. You get an inside view of the enterprise analysis and evaluation approach. You prepare and participate in interviews with clients. You maintain Excel spreadsheets which serve as a data base for company estimations. You participate in the development of our analysis models/tools. You should join us if you have a pre-diploma, are committed to your work have a strong interest in enterprise analysis and financial markets.